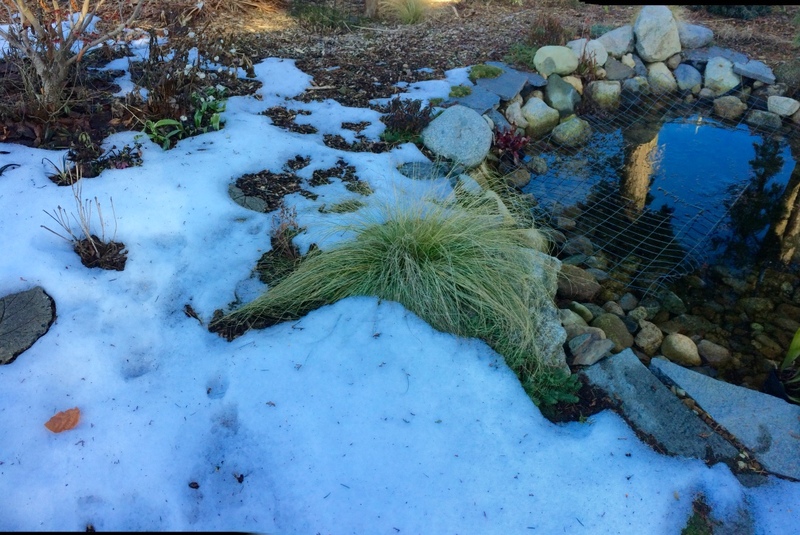 But it’s now seasonably warm, the ice all gone and most of the snow, so I got out yesterday and trimmed my ornamental grasses. 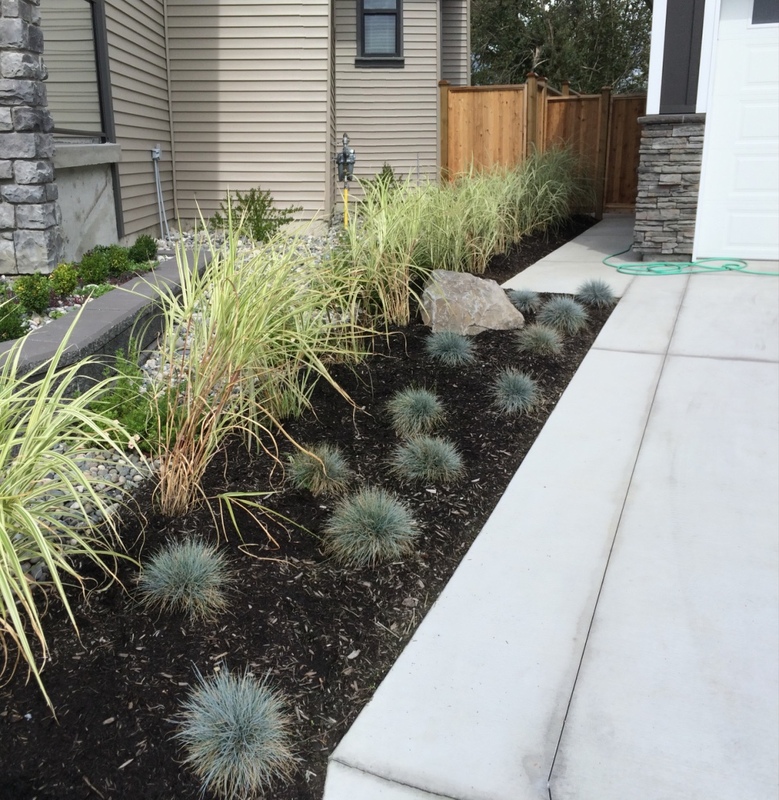 Northcoast Gardening has a great series on pruning ornamental grasses, and I checked it out before starting my own. The other thing I checked before starting was whether I wanted to start at all yet. There are still seed heads on some of the grasses (admittedly not that many) and I love to leave them for the birds. 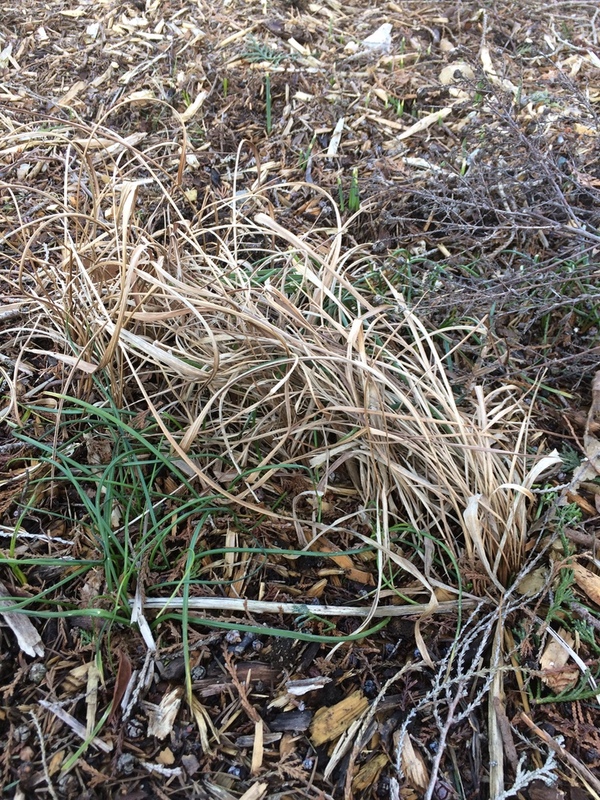 And of course, one of the main reasons for not trimming down your grasses in the fall is the winter interest they provide while all your herbaceous plants (think Hostas and Daylilies) are completely dormant and underground. 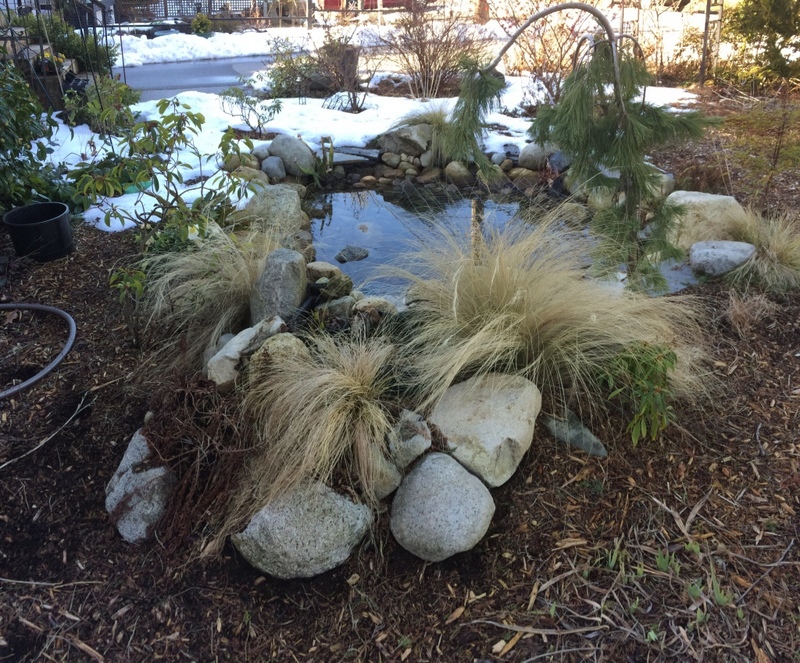 Not a problem when the ground is covered with snow, but we seldom have snow, so the alternative is an expanse of soil or (preferably) mulch. 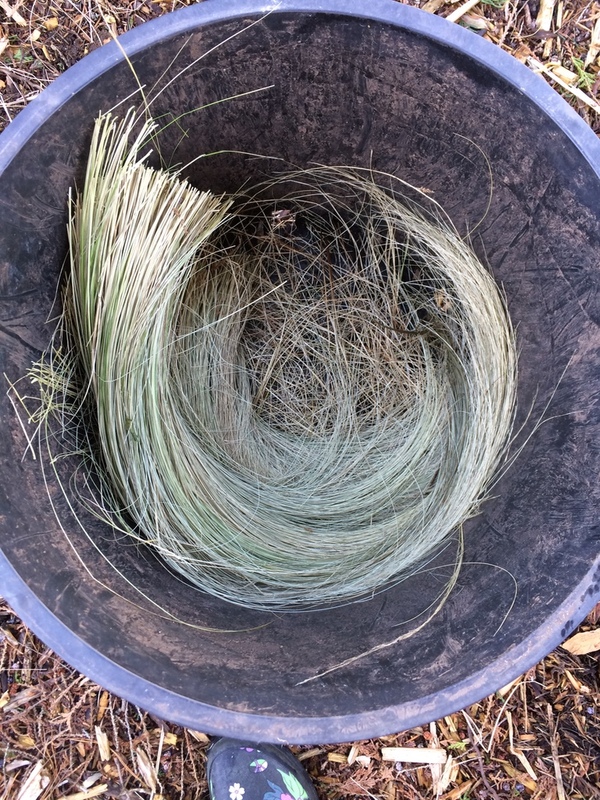 I started with the Mexican Feather Grass (Stipa tenuissima, recently renamed by the botanists as Nasella tenuissima for who-knows-what-reason). 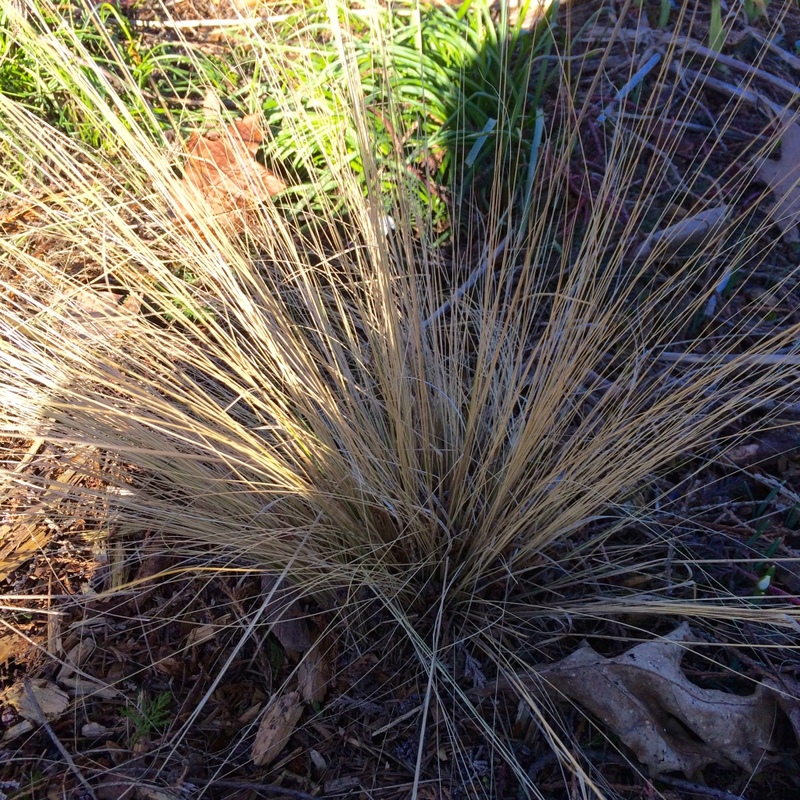 Mexican Feather Grass, Stipa tenuissima. 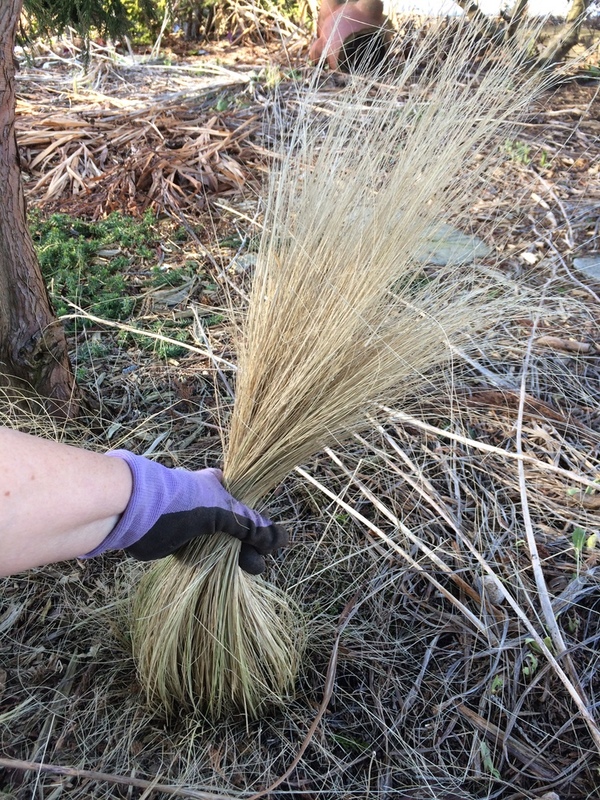 With a lot of grasses you can use a method of pruning not unlike combing hair. 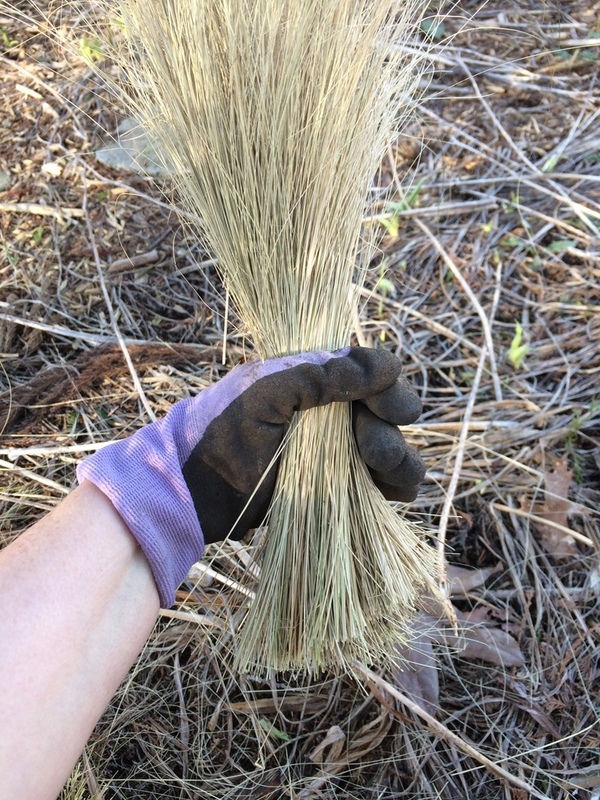 Using rough gloves–rubbery or leathery–just reach down to the base of the grass blades and comb. Most times you’d use this method if there’s still a lot of green present in the clump. 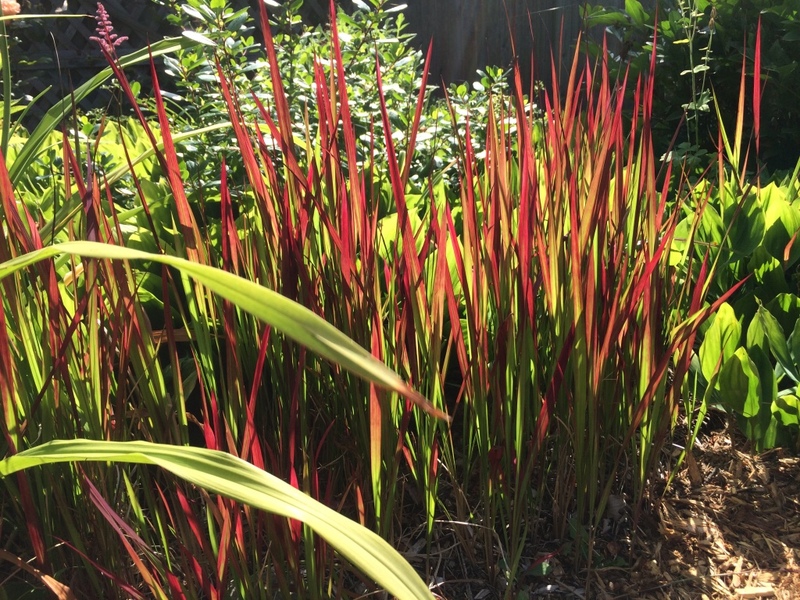 Mexican Feather Grass, aka “Ponytail Grass”! Not putting this in the compost since it’s full of seeds, and my compost isn’t hot enough to kill the seeds. As it is, the seeds that have dropped in the garden last summer/fall will germinate and I’ll have dozens of babies all over the place. Dead bits in the centre–you can see the bits I pulled out up at the tip of the pic. This particular plant has been in this spot for about three seasons, and clearly it’s time to lift and divide. 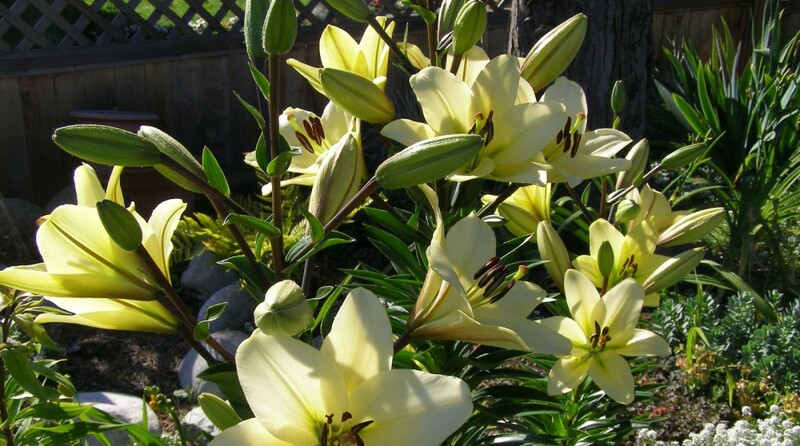 Many plants really need to be divided every few years because the centre rots or otherwise dies out, and the rot/death can spread to the rest of the plant killing the whole thing. 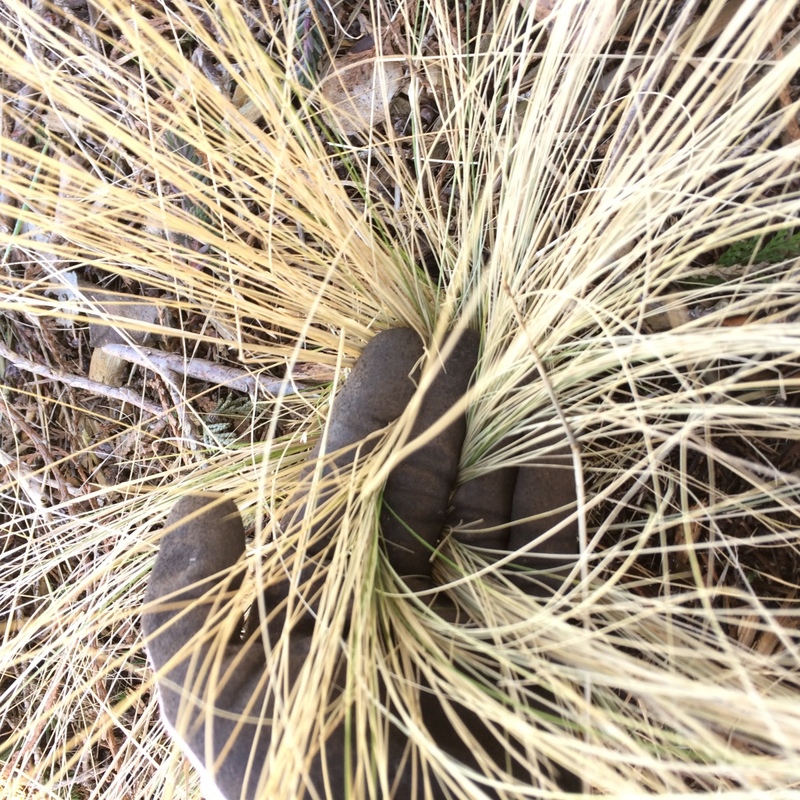 But when you see this happening, or if one year your grass just doesn’t grow very well, it’s the signal to lift and divide. When I do it in a few weeks time (could have done it yesterday but…didn’t) I’ll show you how. This still has lots of green visible, so I’m not going to chop it down like the MFG, just comb it. The one at the top of this page is even greener, so I didn’t do anything with it. The others however are totally straw-y, so cut them right back into little porcupines. You can see that I left a little height on the “straw”, as much for convenience of cutting as anything else. It’ll be hidden by new growth. 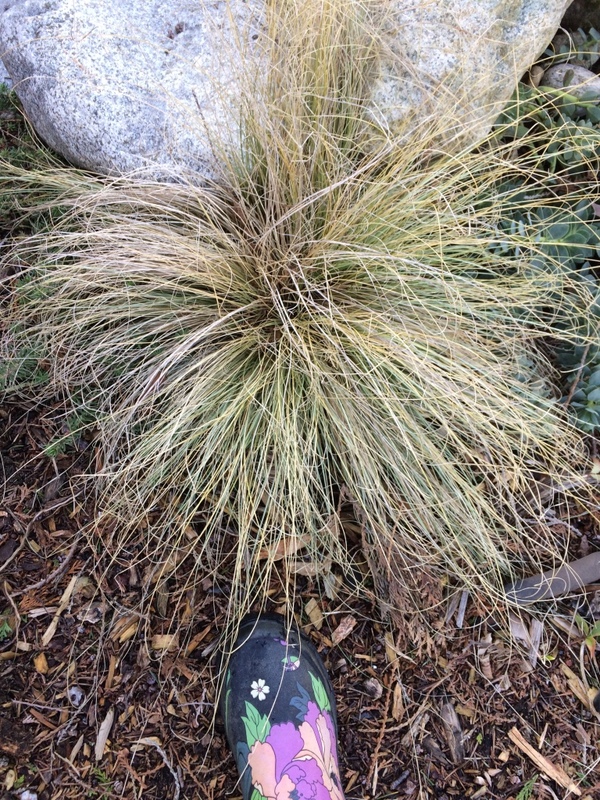 Carex after a haircut. Make it a really short haircut so the old growth is completely hidden by new growth. The JFG is really slow to sprout, so rather than forgetting where it is and digging through it by accident, I decided to leave the detritus for now. 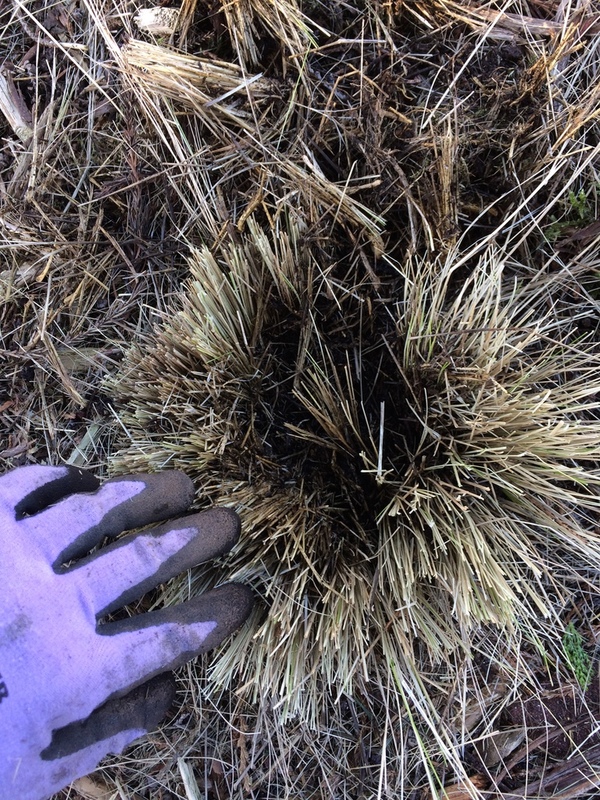 I’ll check regularly for new growth and cut this right down to the ground as soon as there’s anything to see–which won’t be until well into Spring. 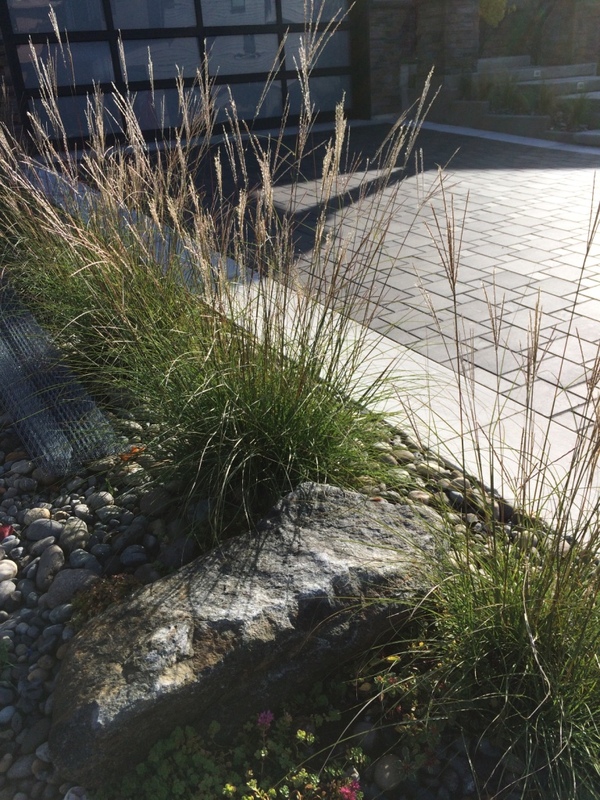 Japanese Forest Grass (or Hakone Grass–Hakonechloa macra) behaves much the same. 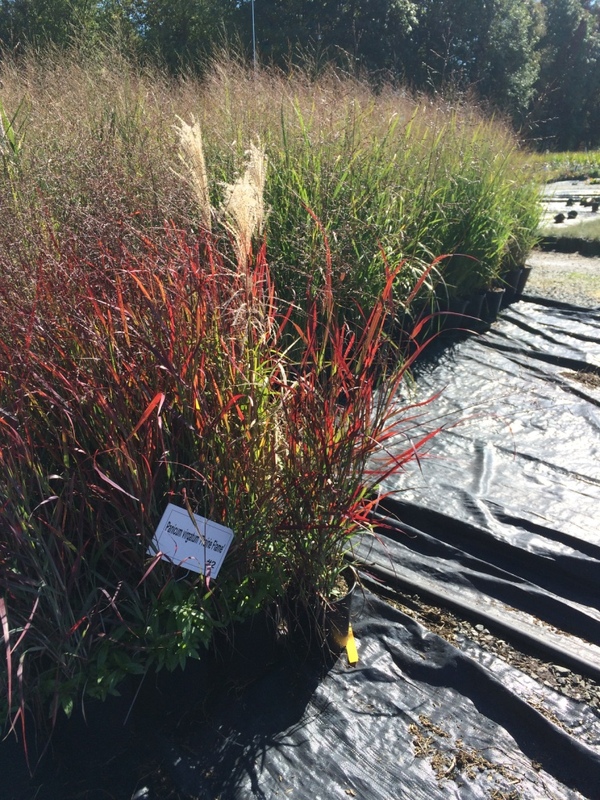 Miscanthus sinensis ‘Adagio’–or is it ‘Yaku Jima’? 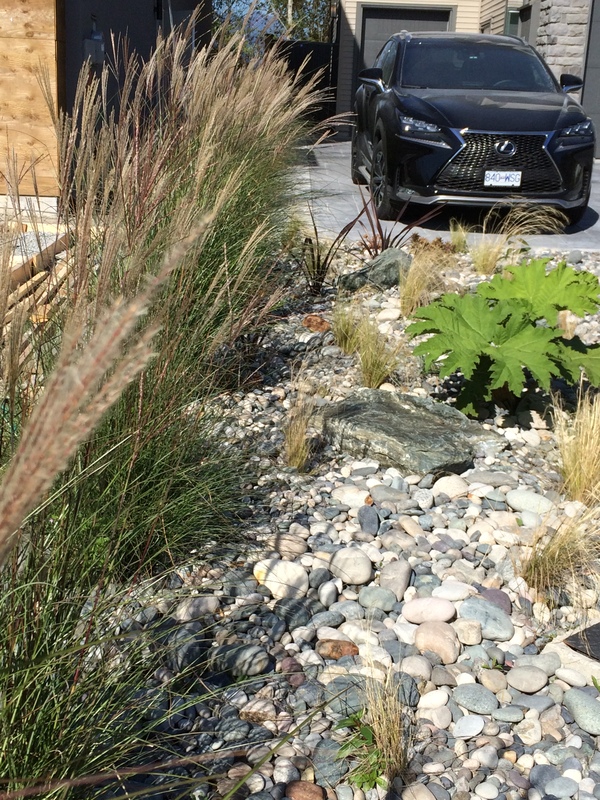 The Miscanthus(es) above can be treated the same as the MFG. Note that these two varieties are dwarf and therefore pretty easily managed. 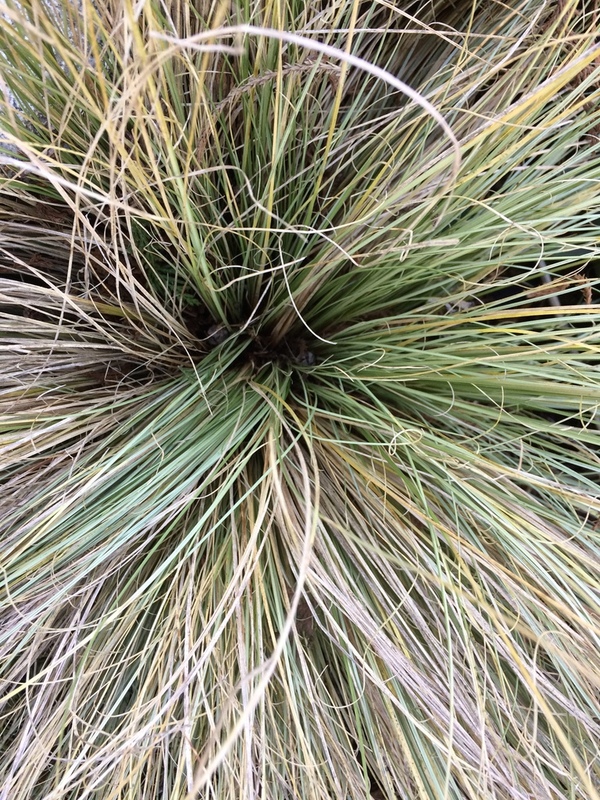 Larger Miscanthus (aka Maiden Grass) require a slightly different method which you can read about in Northcoast Gardening. 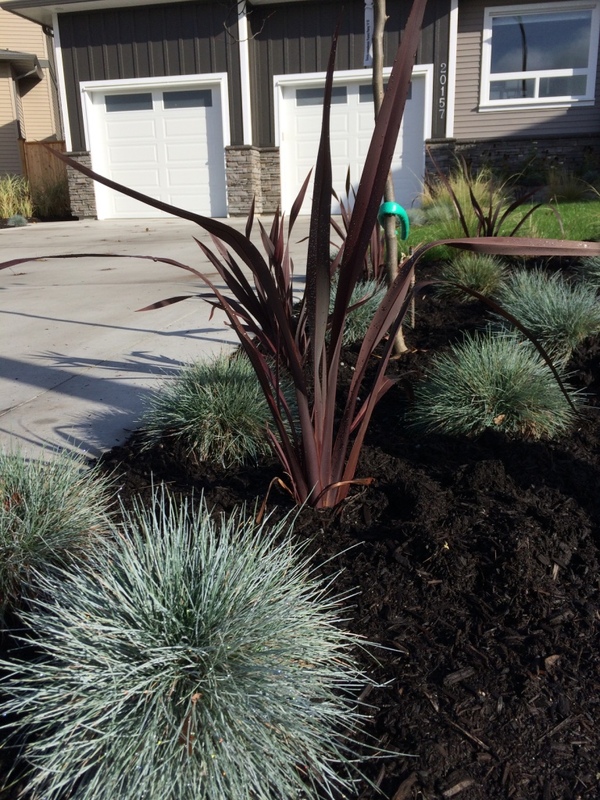 The Panicums (Switchgrass) and Pennisetums (Fountain Grass) are also treated the same. So what isn’t treated the same? 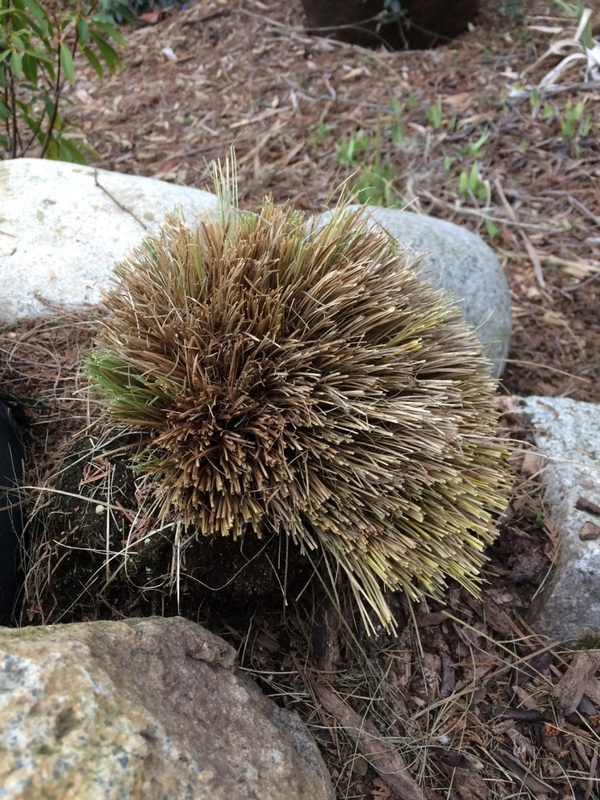 If you have questions about your own grasses, feel free to post them here and I’ll get back you with either an answer or more questions.